I´ve got 2 early Bets for the next Weekend here. First is Werder Bremen to Win against Nuernberg. Bremen in first 2 Games after Winter Break with 2 very good Games. Against Hannover deserved the Win and now they Draw at Home against Frankfurt - but to be honest - that was a MUST WIN game. Bremen showed a good Performance with many Chances on his Side. Like the First Game against Hannover - where they have also many Chances. Problem for now is that they need too much Chances for Goals. But now in Nuernberg i expected the same game from Bremen - which they showed against Hannover. Nuernberg for me on the same quality Level from Hannover at the Moment and lost both Games after Winter Break. They have on every Position quality Difference to Bremen and for me the only Chance for Nuernberg is to fight for his Life. But didn´t think that this is realstic to grab something out of this Game. Hannover 96 have failed to win in their last 8 matches in Bundesliga. Hannover 96 conceded at least 1 goal in each of their last 17 matches in Bundesliga. Hannover 96 have lost their last 4 home matches in Bundesliga. Leipzig today against Hannover - who have new Coach, but for me New Coach Doll isn´t that good Coach and also the problem is the squad. Who is not good enough for Bundesliga. Leipzig want to play CL next Season - so this is must Win. 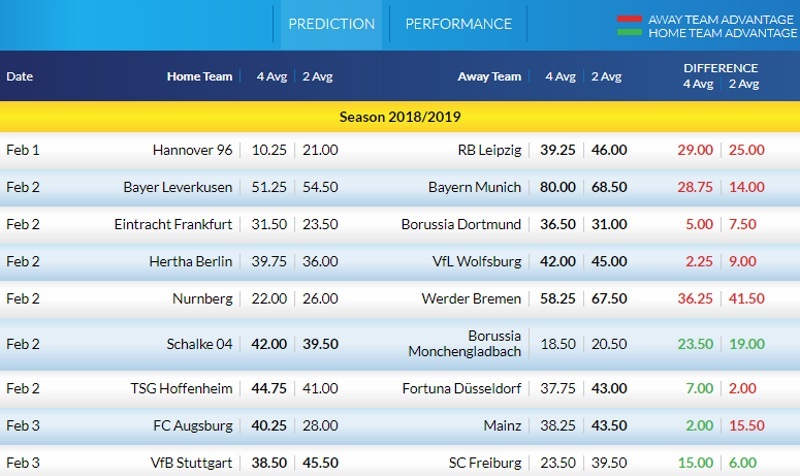 Now that the last round of German action has finished last night we can progress onto offering the odds and ratings for this coming weekend's matches. Thanks for your tips so far, @Neubs and @betcatalog. Keen to hear what the rest of you have to offer. Do you know what? Even as I'm writing this I'm thinking "don't fall for it, you mug. The odds are stretched for a reason! You know what'll happen!". I'm foolishly not listening to my gut because these odds are too good to avoid. Champions League qualification chasing Eintracht Frankfurt welcome league leaders Borussia Dortmund to the Commerz-Bank Arena for this 2:30pm kick-off on Saturday afternoon. Eintracht Frankfurt are enjoying a positive season. Adi Hutter's side are 5th in the table and just 3 points off the pace of the top four. Inconsistency has plagued the team this season with the exception of a run of 6 wins and 1 draw between 30th September and 24th November. That run has essentially kept their decent season alive. Without the 19 points accumulated during that run the club would be sitting in the bottom three. An unrealistic comparison but it shows how key that run has been for their season. Is the 5th place a false position for a team with just 2 wins in their last 7 league games? Borussia Dortmund are flying high under the guidance of Lucien Favre. The ex-Nice manager came with a reputation and he's duly delivering. The team are top of the Bundesliga and 6 points clear of second placed Bayern Munich. Will they win their first Bundesliga title since 2011/12? 9 wins from their last 10 league games suggests they are in no mood to give this top spot up easily. The reason I want to back Dortmund for the win here, asides from the price, is that they've discovered that habit of grinding out results away from home. Only twice this season have they won an away game by more than 1 goal. The 2-1 loss away to Fortuna Dusseldorf was a blip that they've overcome with little fuss. I'm sure they'll falter again soon but I think they should win here. @Magic0024, @malabgd, @sajtion, @betcatalog, @DrO, @Neubs, @Xcout, @Banter1, @Bayern, @DonPaulo, @fhuefdsa, @Franger83, @Uriel18, @VYA, @EuroDream, @JPee, and @JKos, will you guys be backing the league leaders to win here? Any other bets taking your fancy? 35% of Frankfurt’s conceded goals occurred after the 75th minute in Bundesliga. Dortmund have scored in each of their last 17 matches in Bundesliga. Bayern Munich have scored in each of their last 12 matches in Bundesliga. Hertha Berlin have scored in each of their last 9 matches in Bundesliga. This bet seems a little overpriced to me. IMO Glatzel was one of the most dangerous and constant strikers of the first half of the season, until his injury put him out of action (8 goals in 12 games). Now he's back and has proved his aspiring form with two goals in friendlies and a goal previous matchday of league 2. 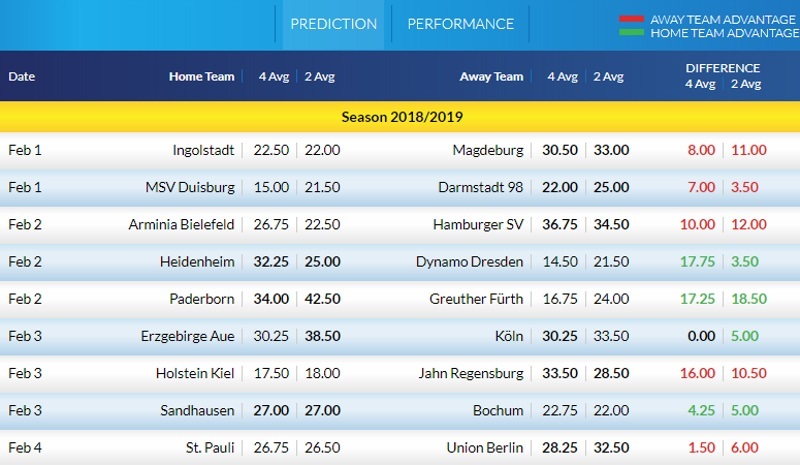 Dresden gets two goals on average in each away game. FSV Mainz have scored in each of their last 11 matches in Bundesliga. 31% of Stuttgart's conceded goals occurred after the 75th minute in Bundesliga. Freiburg have scored in 78% of their away matches in Bundesliga. going for 2 away wins now. Nice transfer period for Bochum. They've got a nice record against sandhausen and almost full squad available. Regensburg with a strong, established team and a good away record. They like to play against teams that give them room to play dangerous counter attacks.